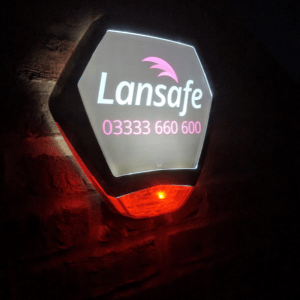 Lansafe only install the highest quality equipment to the highest standards premium keypads, sounders PIR’s when it comes to security quality matters. Our wireless solutions are best in class using patented mesh technology to ensure the most reliable solution on the market. 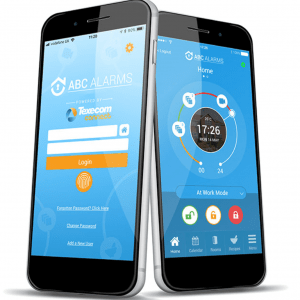 Wireless Intruder Alarms– Securing business to the highest standards. Market Leading Ricochet Mesh Wireless Alarms. 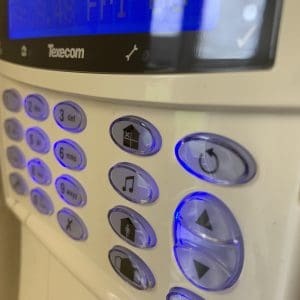 Simple to bespoke installation, with in range indication at each device, combined with automatic wireless routing, installing a wireless system has never been easier. Multiple signal routes adapt to the environment instantly, Signal Security measurements provide peace of mind. Greater range delivers greater protection! Mesh Network– Ricochet enabled devices create a system whereby each wireless device is capable of repeating messages from other wireless devices. Self Healing – Ricochet enabled devices dynamically change wireless signal routing to utilize the most reliable communication pathway available. Signal Security – Ricochet enabled wireless devices provide multiple communication routes. Signal Security measures the number of alternative routes and offers superior indication of system integrity when compared to signal strength alone. 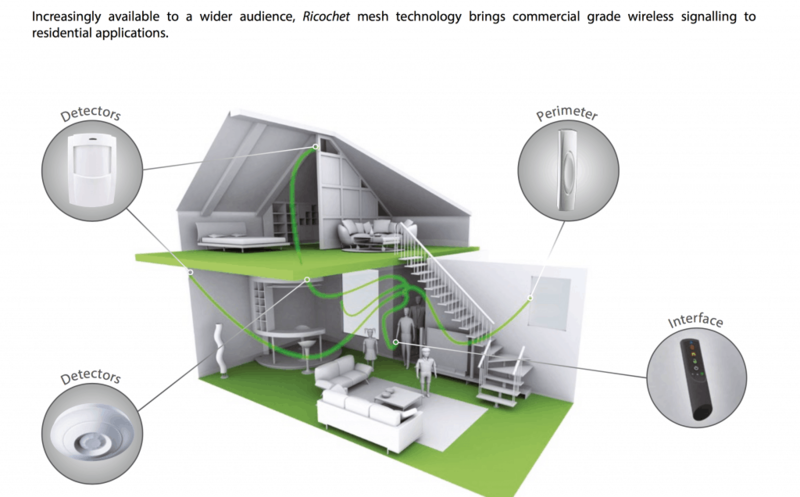 Energy Efficient – Ricochet enabled divices use 1000 times less energy than equivalent wired product. Superior Range –Ricochet enabled devices feature class leading point to point wireless range. When used as part of a mesh network, the range is extended further as each wireless device acts as a repeater, extending the range for further devices.